Happy New Year to you all - we hope 2017 has been good for you so far? 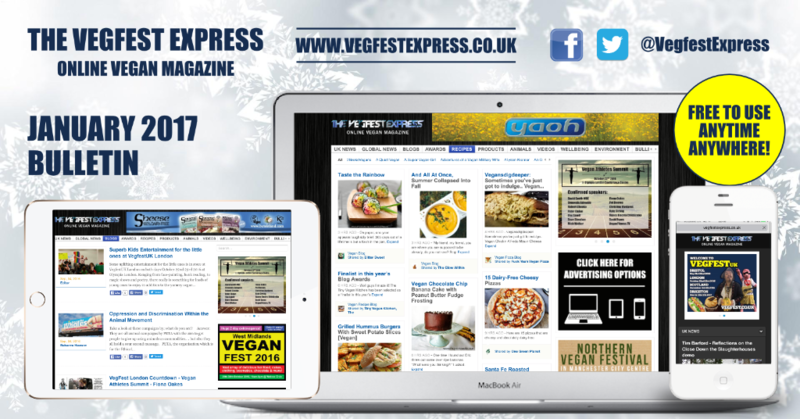 The UK vegan festivals guide features events from almost every city in the UK as veganism continues to grow at astonishing rates. 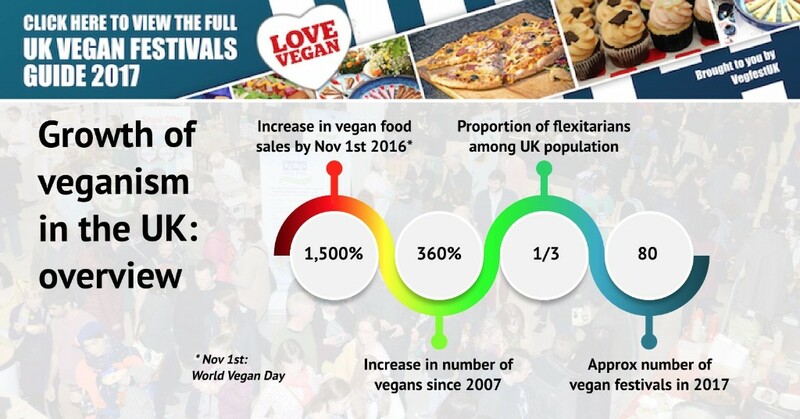 With vegan food sales up 1,500% year on year (source: London Economic) and 360% rise in the number of vegans in the UK over the last decade (source: The Vegan Society / IPSOS Mori poll), the growth is expected to continue to accelerate with vegan festivals playing a big part behind this rapid expansion. Vegans of the world! 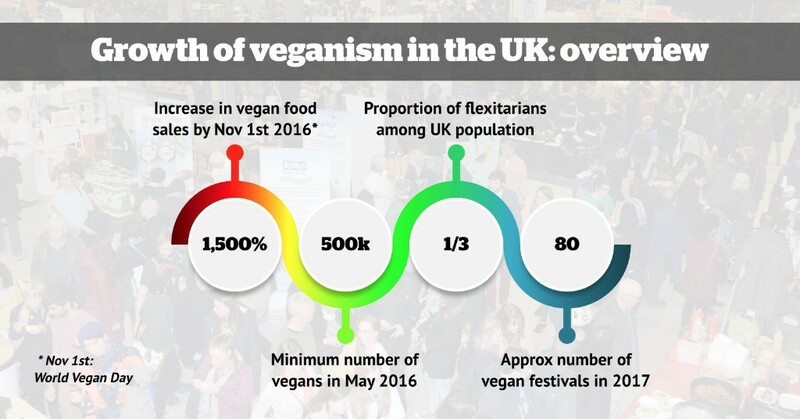 We’ve never witnessed such a tremendous growth of veganism in the UK right now and this is best shown in the amount of vegan festivals that we’ve got in the UK this coming year, as illustrated in the vegan festivals guide that we published at the start of 2017. We’d like to get EVERYBODY joining in our new Thunderclap supporting this guide, in order to get it read by as many people as possible. The Thunderclap is scheduled to launch on Valentine’s Day February 14th 2017 at 1pm UK time, and to succeed we’ll need you to utilise the followers and supporters you’ve got by joining this new Thunderclap campaign when it launches. 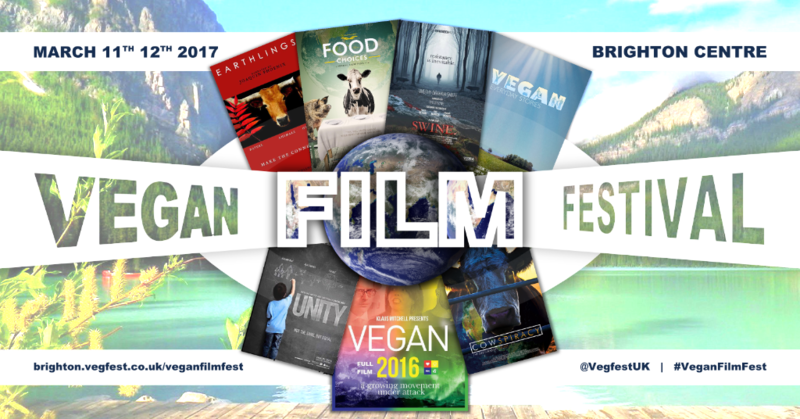 A series of educational documentaries on veganism will be shown at the upcoming Vegan Film Festival as part of VegfestUK Brighton, on both March 11th 12th 2017 at the Brighton Centre. Aiming to educate the public on the benefits of a vegan lifestyle, the Vegan Film Festival includes altogether 7 documentaries created by a number of talented filmmakers who are passionate about veganism and who aim to influence as many as possible on the all-round benefits of a lifestyle free of the use of animals altogether. 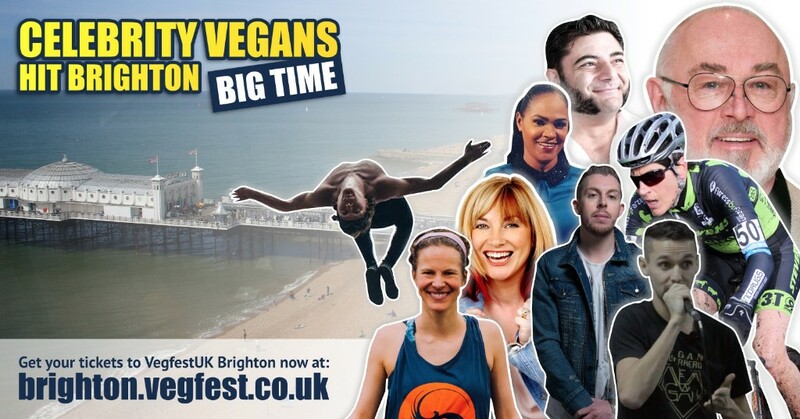 The weekend of March 11th 12th sees the 9th annual VegfestUK Brighton event at The Brighton Centre, and the celebrity vegan guest list just seems to get longer and longer every year, with some especially big hitters for 2017. 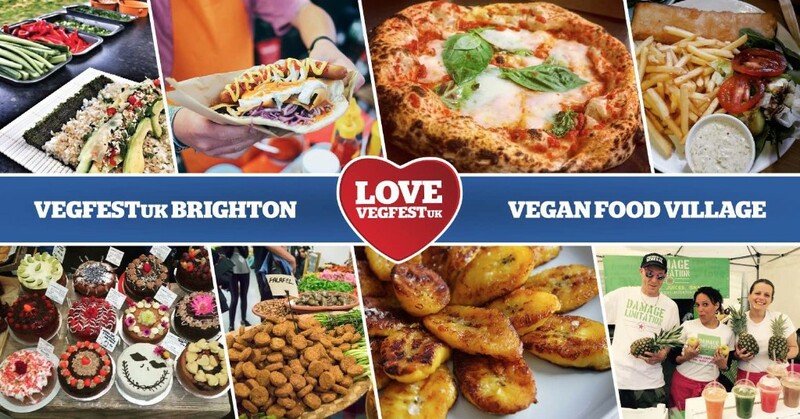 If anyone wants to see how amazing it is to be vegan, look no further than the sumptuous vegan food on offer at the upcoming VegfestUK Brighton vegan festival on March 11th 12th 2017 at the Brighton Centre. 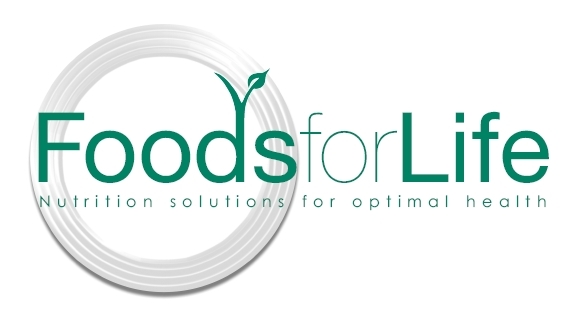 Featuring altogether 20 globally inspired caterers with a huge variety of vegan food, the festival is set to get everyone purring with its food repertoire and demonstrate resoundingly that eating vegan does not mean depriving ourselves at all, but rather, spoiling ourselves thoroughly. 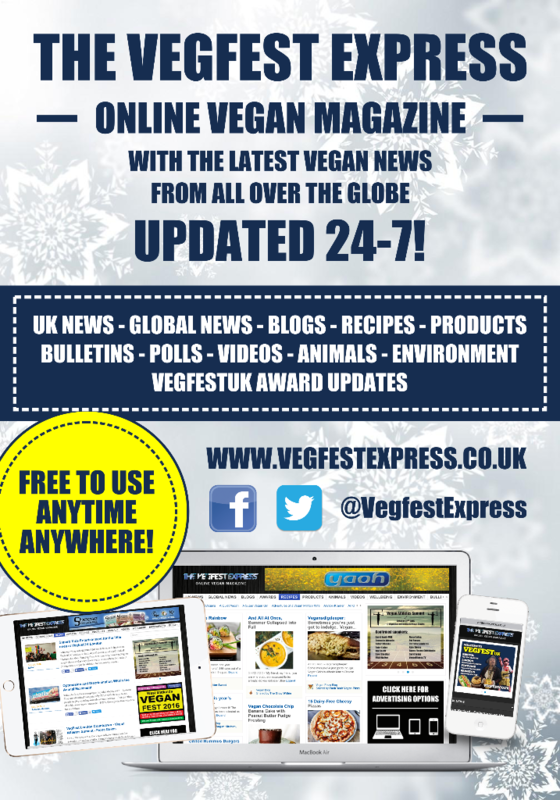 In this blog post, we highlight how much veganism has grown in the UK in the past year alone and how by being at VegfestUK this year, businesses and campaign groups can benefit from a huge amount of exposure to a very focused audience and tap into this tremendous growth of veganism, which is showing no signs of abating as we speak! 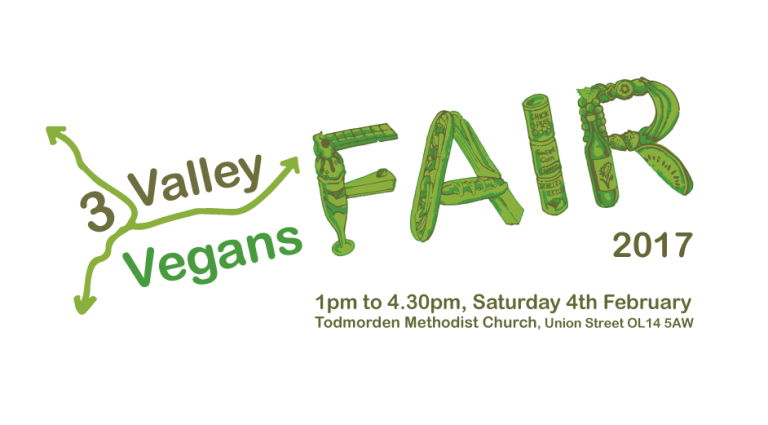 3 Valley Vegans are kindly hosting a vegan fair on February 4th 2017 at Todmorden Methodist Church to help many go vegan! With support from the Vegan Society, 3 Valley Vegans will show you how and why to go vegan for a month – free goodie bag if you pledge! 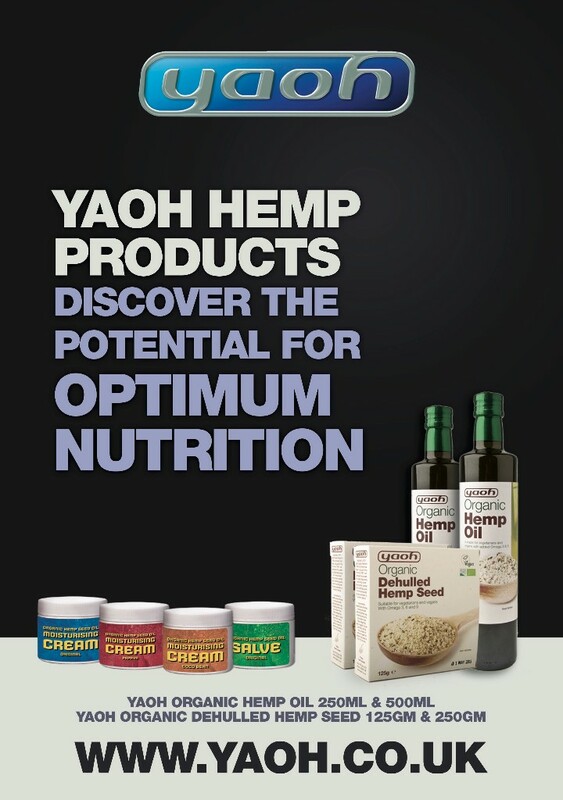 How will I be healthy? One of Europe’s largest vegan outreach and animal campaign groups Viva! 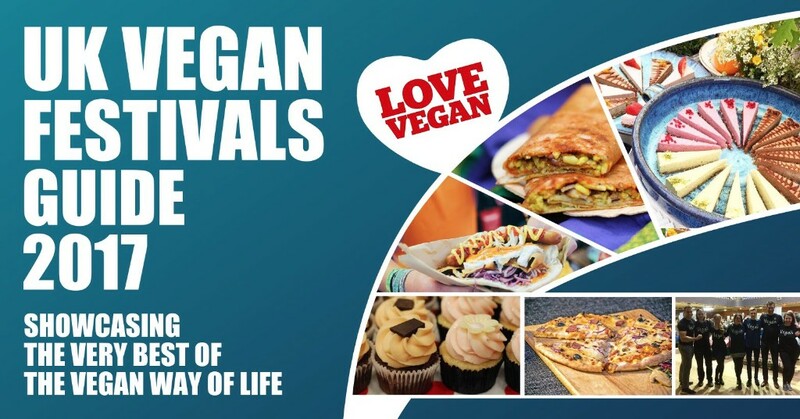 returns to Cardiff on February 4th 2017 at the Cardiff City Hall for one of their many wonderful vegan festivals coming up this year. Viva! 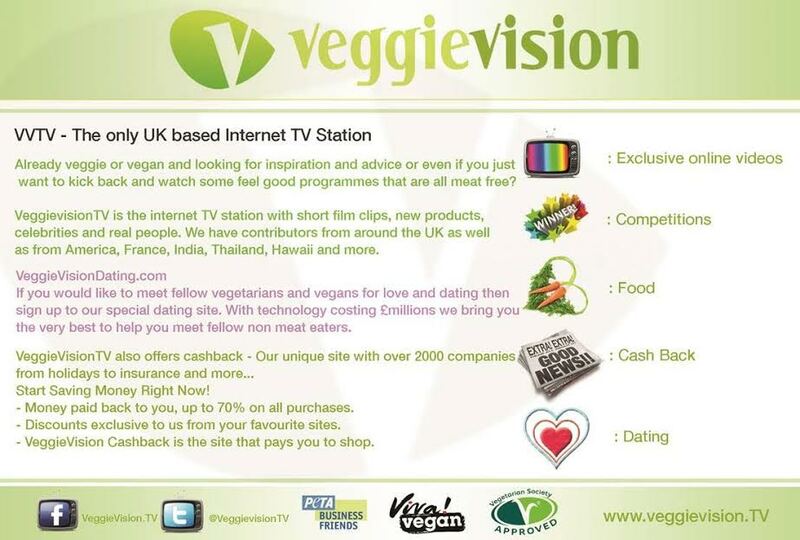 started vegan roadshows twelve years ago with one aim: bringing veganism to the people. Veganism has since exploded, which is amazing and vegan festivals are a huge celebration of veganism. The third vegan festival at the Camden Centre from Farplace Animal Rescue takes place on February 4th 2017. The name has now changed from the London Animal Free Festival to the Greater London Vegan Festival to better reflect the event. 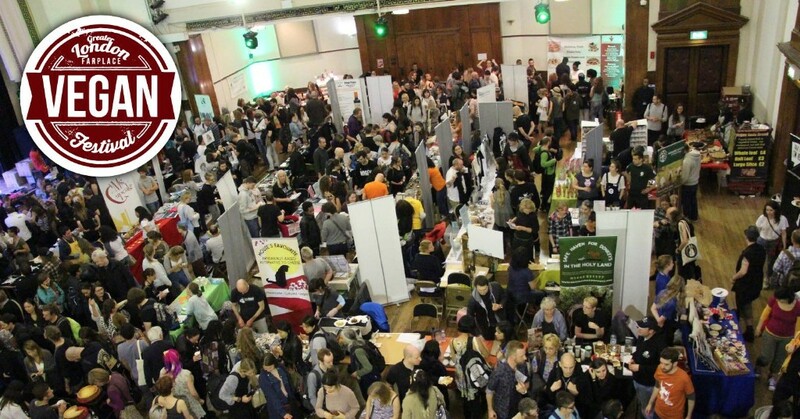 There will be a range of stalls, talks and films across 2 halls with vegan bar and 2 balconies and stage for seating. 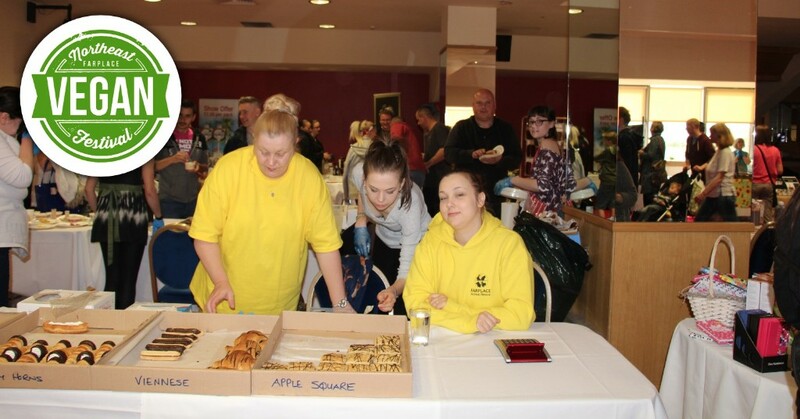 The 8th North East Vegan Festival (Nevfest) is back at the first location, the Stadium of Light. It is one of the biggest vegan festivals in the North East of England, and the first, running since 2013. There will be a range of stalls, talks and films across 2 floors and 7 spaces with over 1,000 free parking spaces. 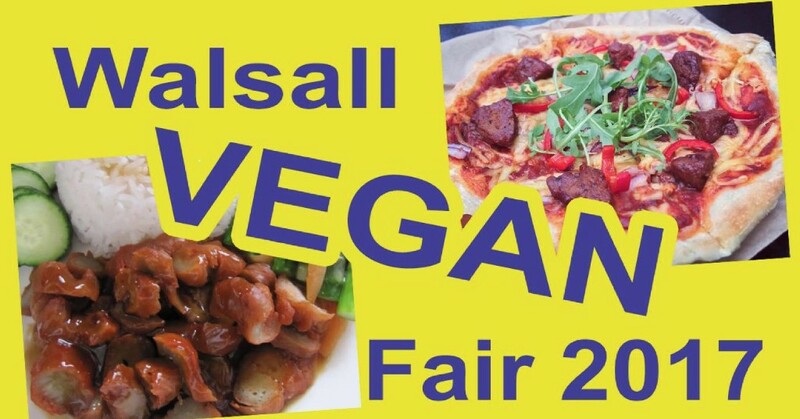 Walsall is to play host to its first ever vegan fair on February 18th 2016 at Walsall Town Hall. 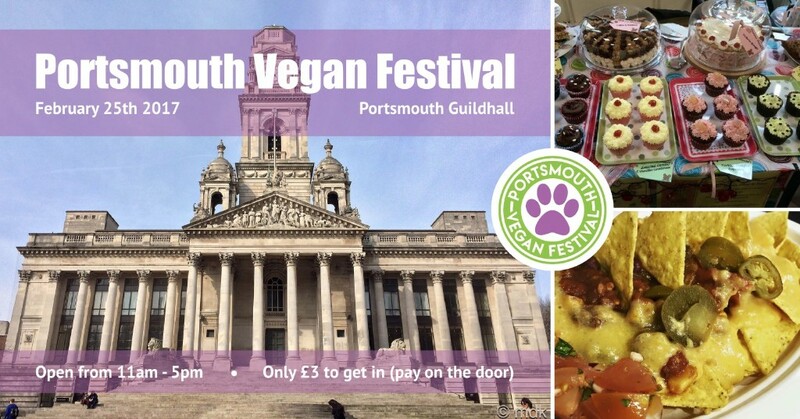 Featuring 60 stalls selling a wide range of vegan products including cakes, chocolate, cheese, cosmetics, clothes, delicious hot food etc, alongside local animal rescues, sanctuaries & campaigning groups. Also inspiring talks & mouth-watering cookery demos. There will be 100 fantastic stalls including 15 caterers, free samples, hot and cold food, raw food, fresh fruit juices and smoothies, make up and skin care, jewellery and accessories, cheese, clothing and footwear, cakes, sweets and chocolates, salad and healthy options, free samples, all day live cookery demos, talks and workshops, a Vegan Bodybuilding competition, bars and more! 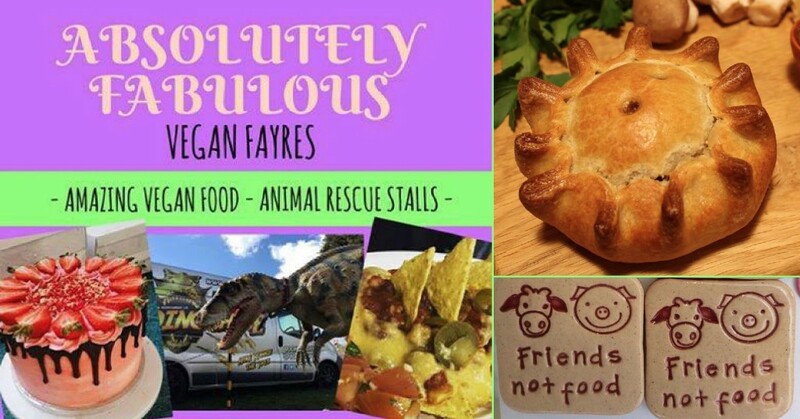 The popular Absolutely Fabulous Vegan Fayre is back in Penarth on February 26th 2017 at the Paget Rooms with another colourful array of stalls for everyone to sample the delights of veganism. There will be an eclectic collection of stalls selling yummy vegan pies, pizzas, chocolates, cakes, Mexican food, bakery, on top of clothing, skincare, bodycare, gifts, crafts, and much more! See Facebook event page here for full list of stallholders confirmed. Children attending the event will love Ronnie the TRex, who loves the Ab Fab events and has been a regular at these festivals. 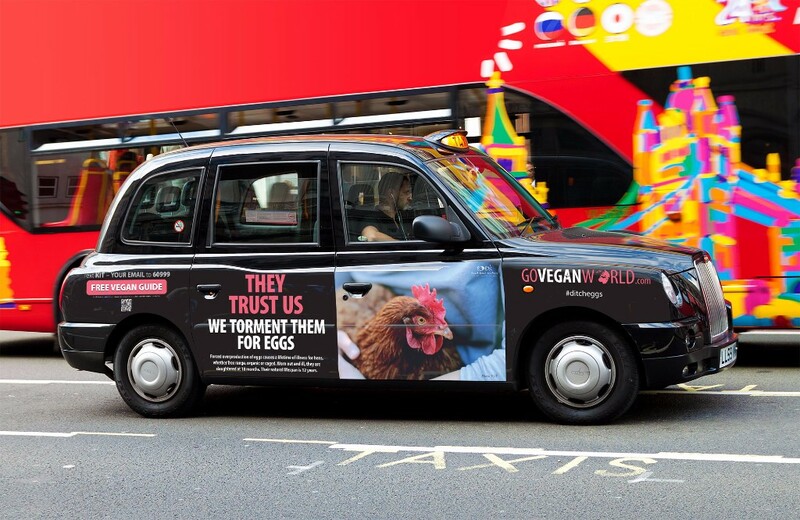 One of the largest animal rights campaigns in the world - Go Vegan World - is launching across England cities throughout January. Featuring powerful, highly thought-provoking messages, the award winning advertising campaign is designed to encourage people to question the notion that humans are better than other animals; and to help them think seriously about the ethics of continuing to use animals as food, clothing, entertainment, and for research. Passionate about Animal Rights? Art? Supporting upcoming Artists? This exhibition is showcasing the best contemporary artists that use Animal Rights to drive their practice. The opening event will be filled with inspirational and education talks, performances and workshops. 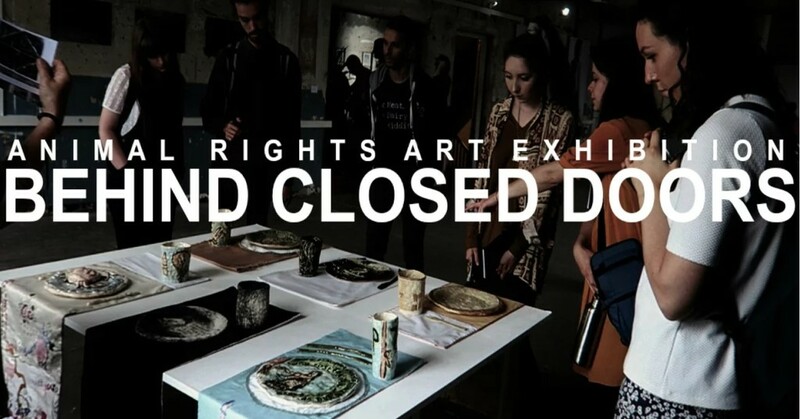 Behind Closed Doors believes that Art can create activism that is powerful, impactful as well as non-personal. With your help we can make this happen. Continuing on from their successful first and second years with VGN Summer Camp, not for profit organisation Teen VGN have announced its third annual camp from August 21st - 26th 2017 at Margam Discovery Centre, South Wales, where in 2016 TeenVGN increased their camp capacity to 72 teens. The itinerary will include some camp favourites from previous years such as craft mornings, cookery classes and party night, but this year will also feature some new and exciting events such as themed festival days, in which they will extend their teaching emphasis to human rights, animal rights, discrimination, and environmental issues. The aim of VGN Summer Camp is to grow to become a camp that brings attention to social justice and world issues with the main focus of compassionate living. Copyright © 2017 VegfestUK, All rights reserved.